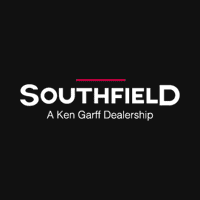 Used Fords in Stock | Southfield Chrysler Dodge Jeep Ram " "
Recent Arrival! NEW INTERIOR, NEW BRAKES, NEW TIRES, VERY WELL TAKEN CAR OF VEHICLE,, 4WD, 3.73 Axle Ratio, 3rd row seats: split-bench, 4-Wheel Disc Brakes, Air Conditioning, Alloy wheels, Driver vanity mirror, Four wheel independent suspension, GVWR: 7,300 lbs Payload Package, Overhead console, Panic alarm, Passenger door bin, Power driver seat, Power steering. Clean CARFAX.Cashmere Tri-Coat Clearcoat Metallic 2006 Ford Expedition XLT 4D Sport Utility 5.4L V8 SOHC 24V 4-Speed Automatic with Overdrive 4WDSouthfield Dodge Chrysler Jeep Ram is very proud to offer this good-looking 2006 Ford Expedition.Southfield Chrysler Dodge Jeep Ram became part of the Ken Garff Family in 2014. Our dealership has many satisfied customers from Southfield, Detroit, Bloomfield Hills, Farmington Hills, and Troy, MI. Our commitment to our customers begins from the moment they step into our showroom and test drive one of our new Chrysler, Dodge, Jeep, or Ram models or one of our quality used vehicles. Recent Arrival! NAVIGATION, SUNROOF, HEATED/COOLED SEATS, REAR VISION CAMERA, MEMORY POWER DRIVER SEAT, POWER PASSENGER SEAT, H.D. TRAILER PACKAGE, BED LINER, RUNNING BOARDS, 18 Bright Machined 6-Spoke Cast Alum Wheels, ABS brakes, AM/FM radio: SIRIUS, Automatic temperature control, Compass, Electronic Stability Control, Front dual zone A/C, Fully automatic headlights, Heated door mirrors, Illuminated entry, Lariat Interior Package, Low tire pressure warning, Memory Power Adjustable Pedals, Memory Power Heated/Cooled Driver Seat, Memory PowerScope Trailer Tow Mirrors, Navigation System, Power driver seat, Power Heated/Cooled Passenger Seat, Power Moonroof, Power passenger seat, Premium Leather Seating Surfaces 40/Console/40, Radio: Premium AM/FM Stereo w/Single CD/MP3 Player, Rear Parking Sensors, Rear-View Camera, Remote keyless entry, Remote Start System, Satellite Radio, Speed control, Steering wheel mounted audio controls, Traction control.Black 2011 Ford F-350SD Lariat 4D Crew Cab Power Stroke 6.7L V8 DI 32V OHV Turbodiesel TorqShift 6-Speed Automatic with Overdrive 4WDSouthfield Dodge Chrysler Jeep Ram is very proud to offer this rock solid 2011 Ford F-350SD.Awards: * 2011 KBB.com Brand Image Awards Southfield Chrysler Dodge Jeep Ram became part of the Ken Garff Family in 2014. Our dealership has many satisfied customers from Southfield, Detroit, Bloomfield Hills, Farmington Hills, and Troy, MI. Our commitment to our customers begins from the moment they step into our showroom and test drive one of our new Chrysler, Dodge, Jeep, or Ram models or one of our quality used vehicles.